Sweep in the spring with a zealous spring cleaning adventure. It’s that time of the year when you’ve got roll up those sleeves so that you can get down and dirty to cleanse your living spaces. 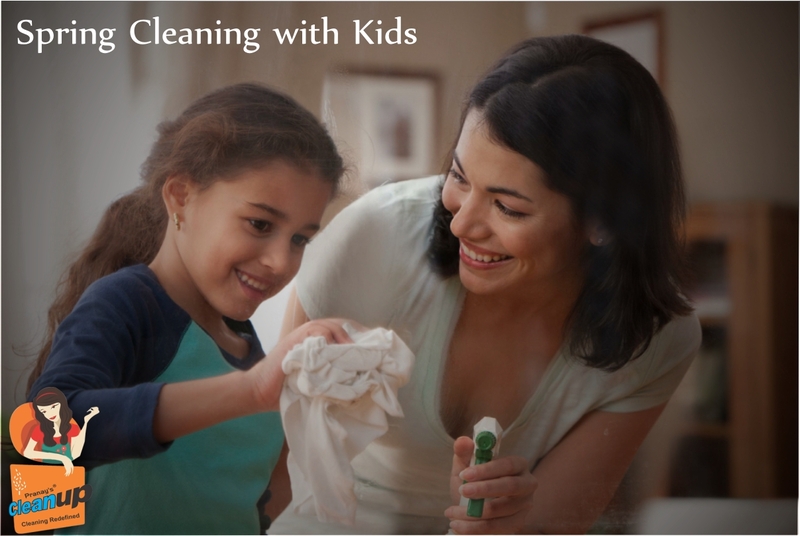 The season warming up is a boon to get you in the spirit, but with so much to do, it’s a great idea to ask your kids to chip in the cleaning. Here’s how you can do this successfully. Rather setting tasks for individuals do it in teams. Have the father son duo clean the bathrooms, whereby the parent can clean out the toilets and the child can safely help scrub the sink. Pairing up parents with kids helps to keep the child safe while involving them in the household chores. It helps to develop an attitude of responsibility and team work in the child. And just imagine all the fun and happy memories the family can have bonding over common household chores. Rather than continuously shouting at your children to finish up their chores, you could draw up a list of jobs to be done and place it on a fridge door. Assign the work to a person and have them tick it off once the task is accomplished. This is proven to remove the arguments from the equation. Allow the child time to complete their tasks on their on schedule instead of browbeating them to suit yours. Music is a stimulant and playing upbeat or exciting music can be very invigorating. It helps set the mood and enjoy the cleaning. Chores can easily become dance and fun time with family bonding. You could also allow your children to choose the music as a reward or motivation. Sing along and strum the strings on your broom as spring clean. While little kids need adult supervision and guidance, adolescents can be delegated the bigger jobs like mowing the lawn, cleaning out the closet or even organizing the kitchen/garage. If they feel that they are doing a big job, they are more likely to feel pride in their work and put in more effort to do a great job of it. Give them a challenge to keep them interested. Kids are no different from adults in this perspective. Giving them praise for their hard efforts and reward of a favourite meal say order in pizzas, take them out to a sports game or family movie time. This will give them incentive to work harder and participate in your routine spring clean sessions.